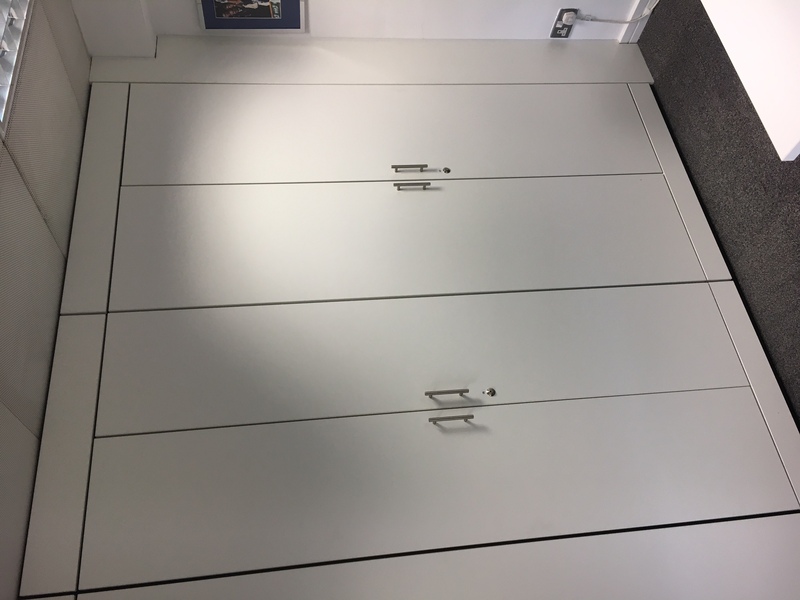 Storage Concepts have recently installed cupboard walling with concealed hinges in a second floor office in Leicester. 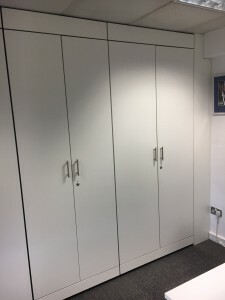 Utilising the full length and height of a specified area, office storage wall systems are a creative combination of partitioning and office storage space. Office storage walls provide flexible, high volume storage systems – an ideal way to optimise your use of precious office floor-space. Our cost-effective storage walls, available in high quality laminate or veneer finishes, are designed to create an uncluttered, modern and adaptable environment for your staff. Contact us today to discuss your office storage wall system requirements and our experts will do the rest for you.